Say ‘I do’ with a stately home wedding on the Ickworth estate. 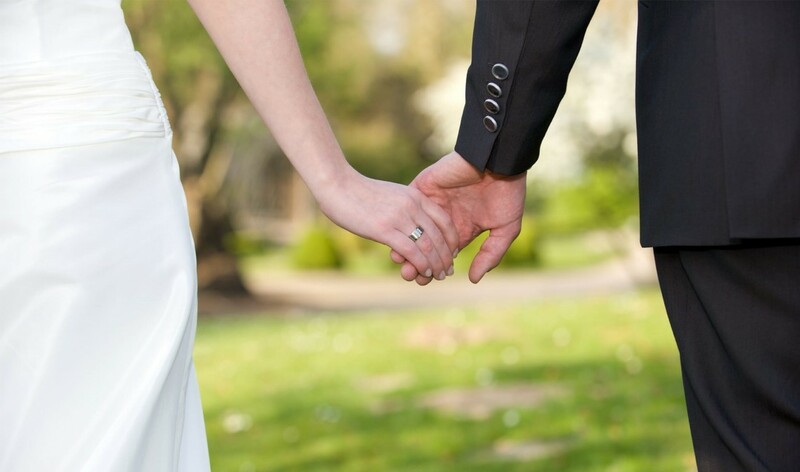 At The Ickworth, we take a personal approach to weddings – it’s your big day, after all. Choose from a selection of stately rooms for your ceremony, or hire the whole hotel for a truly magical experience. Our Events Manager will be on hand to ensure your perfect day runs smoothly from start to finish, with help from our experienced events team. Whatever the dietary requirements of you and your guests, our Head Chef will prepare a delightful menu to please all palates. From intimate receptions of up to 30 friends and family members, to a marquee of 200 guests, we can accommodate ceremonies of all sizes. Below, you’ll find details of the rooms available for hire and exclusive use. We have two elegant rooms available to hire for your ceremony and reception, while the bright conservatory comes with our exclusive-use weddings. If you’re planning a late-spring or summer wedding, head out onto the Terrace and into the sunshine for drinks and photographs. The Library is located on the ground floor of the hotel, with high ceilings and tall windows that look out onto Italianate gardens. A large bookshelf lines the back wall, while the Hervey family history decorates the rest of the room. The Library can host 45 guests for a ceremony, or up to 40 for a drinks reception or breakfast. With a traditional chandelier, wood panelling adorning the walls and views over Ickworth parkland, the Boardroom is a simple and graceful setting. Enjoy an intimate ceremony for up to 35 guests, or a wedding breakfast or drinks reception with 30 guests. Light pours in through the glass roof and the windows rise from floor to ceiling, while vines climb the inner wall. The Conservatory is open and bright, with views over the Terrace. It’s available with exclusive use of the hotel, and accommodates up to 60 guests. When the sun is shining, step out onto the Terrace. Set in the hotel’s walled garden, the Terrace is a wonderful place to sip Pimm’s with your guests in the summer, or to capture the moment with a photograph by the beautiful red-brick wall. For a truly wonderful day dedicated entirely to you, we offer a number of exclusive use options. Get married in your very own private country house, or hire out the whole hotel. Surrounded by four acres of private gardens, The Lodge sits on The Ickworth estate just ten minutes’ walk from the hotel. This grand country house comprises eight apartments and three double rooms, sleeping 36 adults and 14 children in total. The Garden Room can host a ceremony for up to 50 guests, with tall, wide windows looking out onto the gardens. Wisteria and vines climb the outer walls, and a marquee can be arranged if you’d like to celebrate outside. Alternatively, we can turn the Garden Room into a wonderful setting for the evening. Get in touch with us to discuss pricing and availability for exclusive use of The Lodge. If you have your heart set on a resplendent wedding in grand setting, why not consider hiring out the full hotel? With an 18th-century stately home and swathes of gardens dedicated exclusively to your big day, you’ll feel like you’re in a fairy tale. Choose from one of our many rooms to host your ceremony, or set up a marquee outside. Exclusive use of the hotel includes The Lodge, which sleeps 36 adults and 14 children, with a further 27 bedrooms in the main hotel and three bedrooms in the Butler’s Quarters. Just a short walk from the hotel, the Butler’s Quarters sit atop the Stable Block. With their own living room, kitchen, bathroom and private walled garden, as well as reserved parking spaces, the Butler’s Quarters offer comfortable accommodation for close friends and family. Get in touch with us to discuss pricing and availability for exclusive use of the hotel. Treat yourself to a pampering before your big day. With our on-site Treatment Rooms, you can enjoy a day of relaxation and beautification. Book in for a facial, a treatment, or perhaps a pedicure, and wake up feeling refreshed and ready for your wedding. If you’re thinking of getting married at The Ickworth, or have any questions, talk to our events team on 01284 735350 or email events@ickworthhotel.co.uk. I would like to receive information and offers by email from The Ickworth Hotel and Luxury Family Hotels. A large manor set within 1,800 acres of parkland, The Ickworth is alive with history.